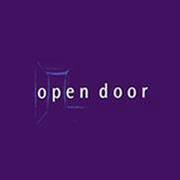 Open Door is an activity centre and important social outlet for adults with physical and sensory disabilities. Activities include physiotherapy, art, ceramics, woodwork, music and computers. Open Door also provides carers and families with a much needed break. Open Door is partially funded by the HSE but there is an annual deficit of approximately €120,000 per annum which our Fundraising team endeavours to meet through fundraising events, help from the public, the business community and grants. Open Door provides members with a vital social outlet and also the opportunity to learn new skills in computers, art, woodwork, music and ceramics. Open Door Day Centre also provides carers and their families with a well deserved break during the week.